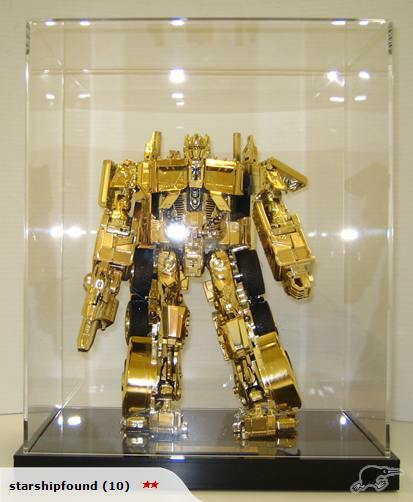 This Prime is 1 of only 88 world wide and the awesome donators, Hasbro, have provided a certificate attesting to that. "All you need to do is clear out your cupboards or garage, list your unwanted items, pledge to donate the proceeds to Starship, and we'll (Trade Me) refund your success fees when the items sell! Find out more here, or check out all the auctions at the Starship store." Anyways, if any one wants to buy me the Prime..... I'd send you a Christmas card every year for like, ever.